Haven't been able to get your own iPhone 3G yet? Make you wanna smash something, like maybe an iPhone 3G? 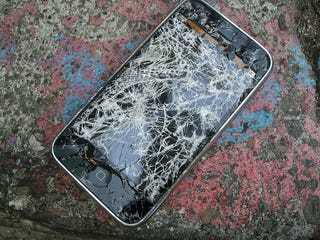 Well, here's a hearty dose of schadenfreude: A sweet gallery of iPhone obliteration that just might soothe your burning envy. If you're a friend of Mr. magerleagues and you own an iPhone, however, you might want to back away slowly. Here are some of the gorier shots.